Say hello to the first outfit post in ages from me - I've been really struggling to get outfit pictures taken over the past few weeks but I managed to get some done in bulk (sneaky) the other day so this is the start of lots more from me. Seeing as we're supposedly going to have a really warm september, this cute elephant dress from Lavish Alice seems more than appropriate. It's a gorgeous design, I love the colour and it fits really nice. The only thing I dislike about it is it's pretty short - it has a rounded hemline that goes in at the side making it all the shorter. Probably not the best for tall/long-legged ladies! 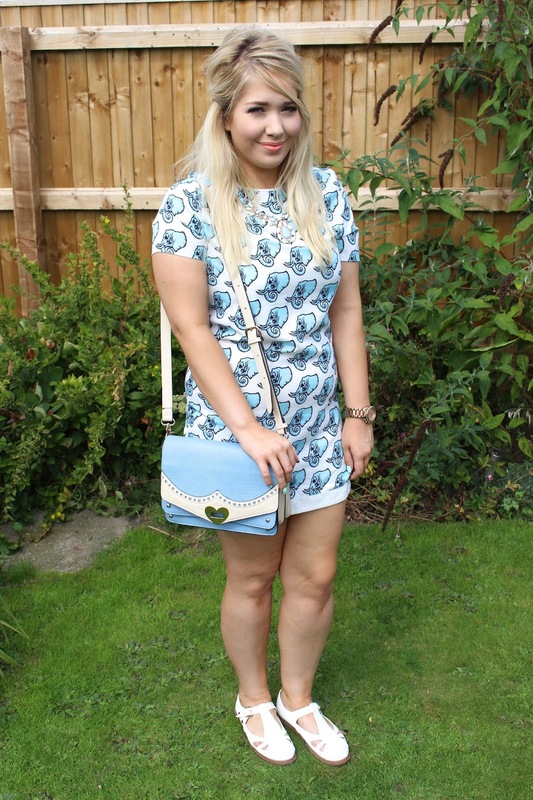 I paired it with my gorgeous necklace from Luxe London, my favourite dolly shoes from Boohoo and my Anna Smith bag in baby blue. I really like how the outfit turned out, and fingers crossed the weather stays nice and warm so I can get a few more wears out of it! 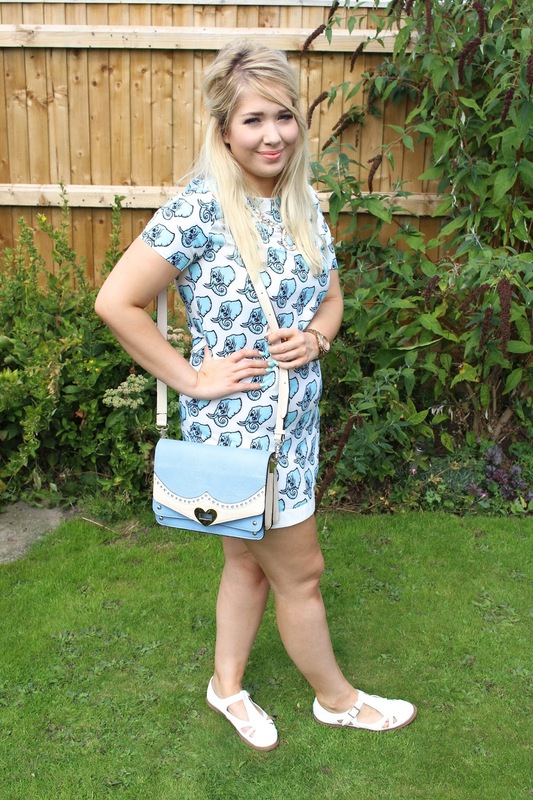 What do you think to my elephant-print dress from Lavish Alice? Is it something you would wear?